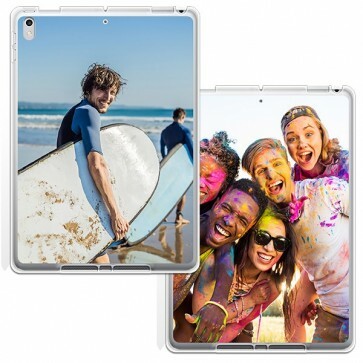 Create a personalised iPad Pro 10.5 case using your favourite images or designs. Make your own personalised case to give your iPad a unique and one-of-a-kind look. Design your own iPad Pro 10.5 silicone case to protect your beloved tablet in style! Why a personalised iPad Pro 10.5 case? A high-quality silicone tablet case is crucial to keeping your tablet in great conditions. Just because you want to protect your iPad though, doesn’t mean your case can’t look stunning. 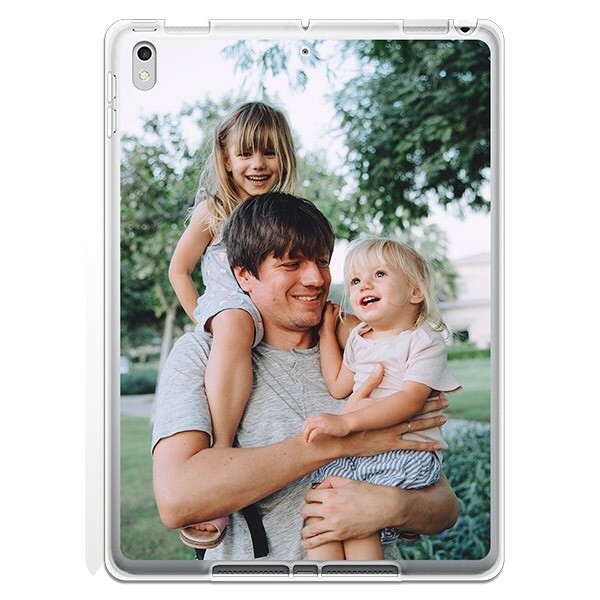 With us, you can create your own personalised iPad Pro 10.5 case using whatever images or designs you like. Using our specially made customizer, you can make your cover look exactly like you want. Photos of your children, your pets, or your most recent vacation, it’s up to you. We do our best to make sure only your imagination is the limit, not your design ability. Start designing yours today for yourself or as a thoughtful personal gift. No, you don’t need to be a graphic designer to make a great case, because we’ve made designing a personalised iPad case incredibly easy. In just three steps and about five minutes, you can design a perfect looking case. First, upload your image or design to the customizer via your computer, smartphone, or social media accounts. Second, choose a layout, make any image adjustments, and add text or emojis. Finally, double check your design and check-out. It’s so quick and easy you’ll wonder why you never did it before. Create a design for your personalised iPad Pro 10.5 case now. Once you’ve finished designing your new personalised iPad Pro 10.5 case, click the order button so one of our production specialists can get started with the production of your unique case. If one of them discovers a flaw in your design, which would result in an unsatisfactory end result, he or she will contact you straight away and you'll discuss the most suitable solution. Each and every single cover is made with a lot of care. Your case is produced with only the best materials and will protect your device accordingly. Somehow not happy with the end result? Contact us straight away so we can find an appropriate solution for your personalised case!